Leandro Rosas, Jr. is a former Trig & Polished gentleman that was spotted at the Alameda Point Antiques Faire (see post here). Well, Leandro has come a long way since then and has a new clothing line called Rolling Projects that came from his work on cars. Having an interest in fashion, I wasn’t too surprised that he’d be delving into the fashion industry. Right now, the focus is on hoodies and trucker hats. 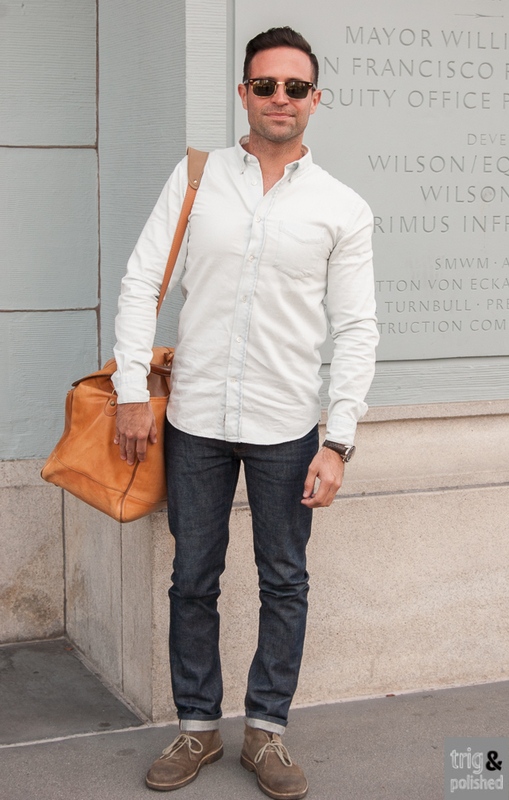 I met with Leandro at San Francisco’s Ferry Building to check out his new line. T&P: How did the idea of creating apparel for Rolling Projects come about? LR: The story starts with my move to LA two years ago (where I was rebuilding and customizing vintage cars). As you know, I’ve been into fashion and style for sometime. When I moved down there, I had very few options to differentiate, 1.) because of the heat and 2.) because the style was beachwear and my Northern California style, where I can layer, didn’t quite go with the South Bay Beach vibe. I wanted to create a line of apparel that spoke to my “roll different” lifestyle. T&P: Your hoodies are different from the typical hoodies I see around. First thing I noticed is the slim fit and thicker material. Seems more like a jacket than a sweatshirt. Tell me more about these hoodies. 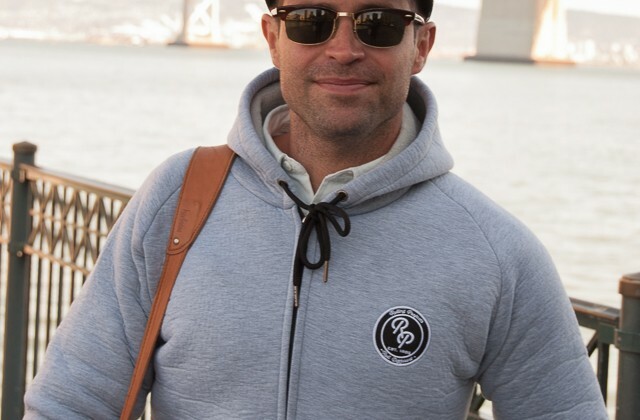 LR: The hoodies, called the “Manhattan” hoodie, were the start because it incorporated everything. The look and feel of a wetsuit, with both the breathability and warmth you want when getting out of the water and the comfort when lounging on the sand on cooler nights. And most importantly, style! 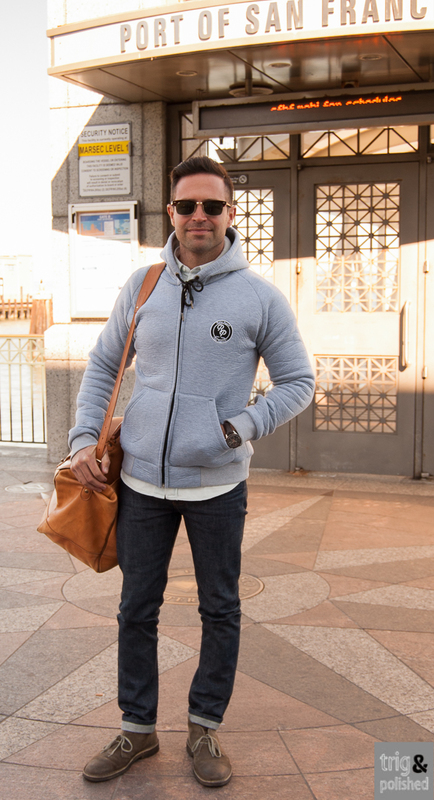 It’s not your typical hoodie, which people might see as “loungie”. It’s actually something you can wear dressed up or casually. We have products coming out in the next 6 months more tailored (and…tailored) towards the fashion aspect and higher end looks, but we started with these because they inspired us to make a change and create something for any occasion. T&P: And the Trucker hats…tell me more about them. LR: The trucker hat, called the “South Bay Style” trucker, came after we created the hoodie because we wanted to incorporate the unique material the hoodies used into the hat and have a truly unique, and higher-end Trucker hat, which is a staple in the beach community. They are made with the best materials and are more detailed and stylish than a standard trucker. 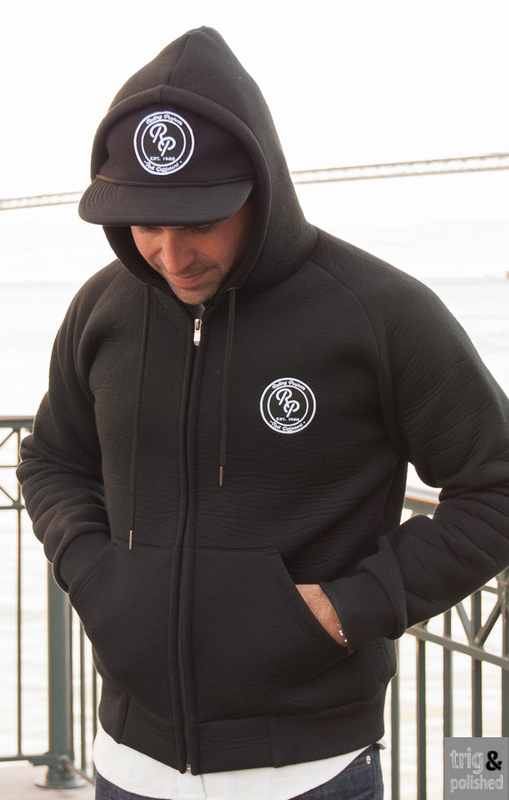 These hoodies and trucker hats are a casual way to stay warm and look sharp at the same time. That soft lining on the hoodie and the front of the hat makes all the difference when the weather gets crispier. To purchase, head over to www.RollingProjects.com and use the code Trig10 to get 10% off your order. 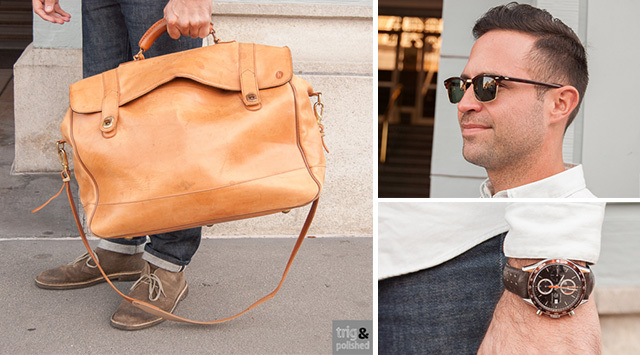 Bag: vintage Hartmann leather overnighter.